COLUMBUS, OHIO (April 16, 2018) – The North American Veterinary Community will host its 2018 NAVC Institute for veterinarians May 20-25 at Caribe Royale Orlando. With an expo hall limited to 40 exhibitors, in total, Scriptel Corporation is eager to showcase its practice management software, patient registration, and electronic signature solutions of benefit to physicians who specialize in animal health. “Meeting with veterinary practice clients in an intimate setting like this one truly allows us to serve them better,” says Scriptel President & CEO Stephan Herron. Scriptel staff will be on hand—at the 2018 NAVC Institute—Mon., May 21, through Thurs., May 24, guiding veterinarians and veterinary practice staff through the paperless technology, document management, and health information management process. 87% of whom have practiced for 6+ yrs. “Institute attendees are highly experienced. They know exactly what their practices’ concerns are. Yet, they don’t always know how to solve them—or which products best suit their individual practice needs. That’s where Scriptel comes in. Scriptel electronic signature solutions are proven to streamline patient registration, simplify in-house EHR management, and improve care delivery through rugged, reliable, Point-of-Sale (POS) technology backed by Industry Best technical support. Scriptel’s no-scratch, glass-surface, electronic signature pads include the ScripTouch Compact LCD and USB-interface equipped ScripTouch Slimline and Desktop LCD signature capture devices. Sign and Save software and apps like mSign help take integration one step further. 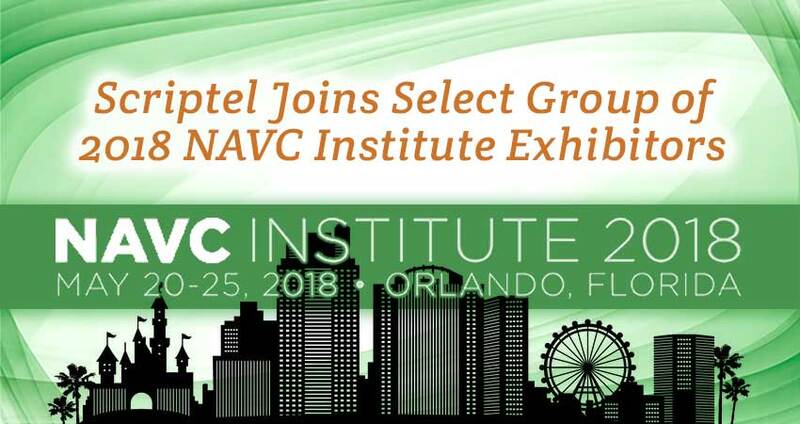 The weeklong 2018 NAVC Institute is being held at the Caribe Royale Orlando, which offers one-bedroom suites and two-bedroom villas. The resort is accessible via the Central Florida Greenway and is located at 8101 World Center Drive (32821). Event details and registration are available at NAVC.com and NAVC.com/institute. Veterinarians and veterinary practice staff who are unable to attend the 2018 NAVC Institute can learn more at Scriptel.com. They may also request a free product trial by calling the Scriptel’s Sales Team at (877) 848-6824.